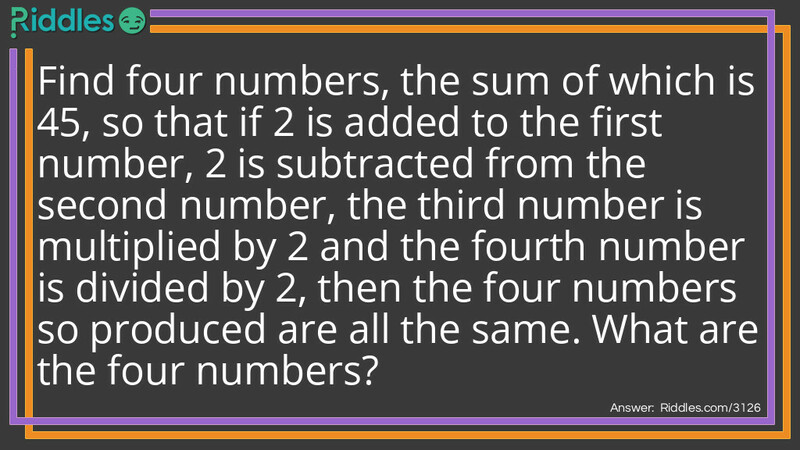 Find four numbers, the sum of which is 45, so that if 2 is added to the first number, 2 is subtracted from the second number, the third number is multiplied by 2 and the fourth number is divided by 2, then the four numbers so produced are all the same. What are the four numbers? Forty-Five Riddle Meme with riddle and answer page link.